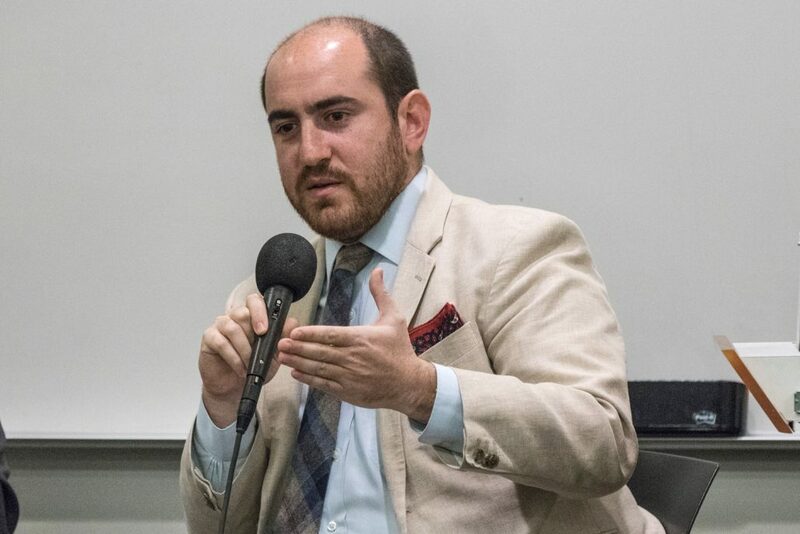 That question guided a noontime discussion hosted by Visiting Professor of Public Policy Steven Nemerovski on Feb. 20, 2019, at the UCLA Luskin School of Public Affairs. Nemerovski is one of three visiting professors — all with decades of experience — at UCLA Luskin in the winter quarter. 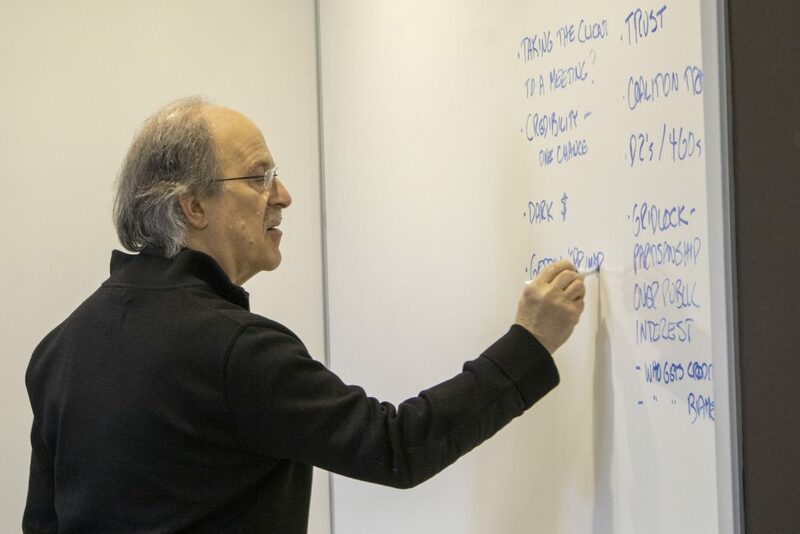 Citing his own unique career path, which has spanned politics, government, business and law, the adjunct professor at Columbia University’s School of International and Public Affairs encouraged the gathered students to consider government as a starting point for developing a successful and multifaceted career. “There is no right way” into politics, said Nemerovski, who is teaching an undergraduate and graduate-level course in advocacy and legislation. He said government experience should be looked at as an extension of education, an early step in a student’s career process. “You have to go into it thinking that way,” he said. 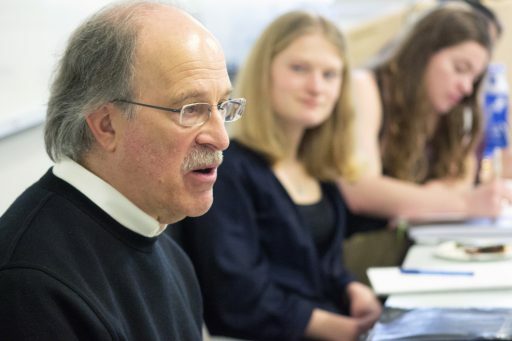 Orren, who has taught at the East Coast institution for nearly half a century, is also able to share his experience as a political advisor in local, state, national and international election campaigns. 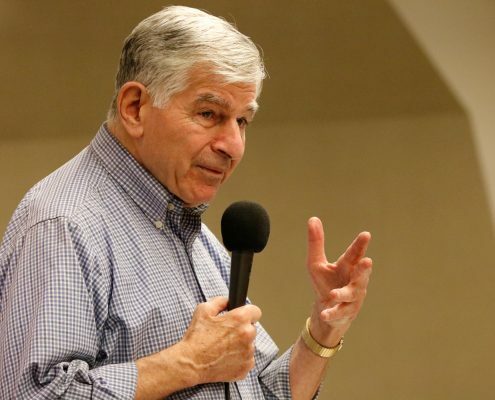 Michael Dukakis, former Massachusetts governor and 1988 Democratic presidential nominee, has also returned to campus this winter, as he has for more than two decades. 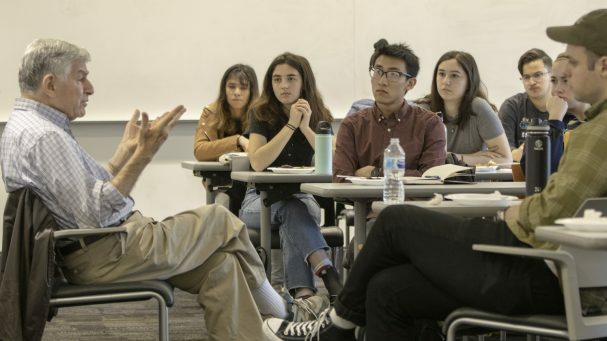 Dukakis is co-teaching a course on California policy issues in the School’s new undergraduate major as well as his graduate course on institutional leadership. 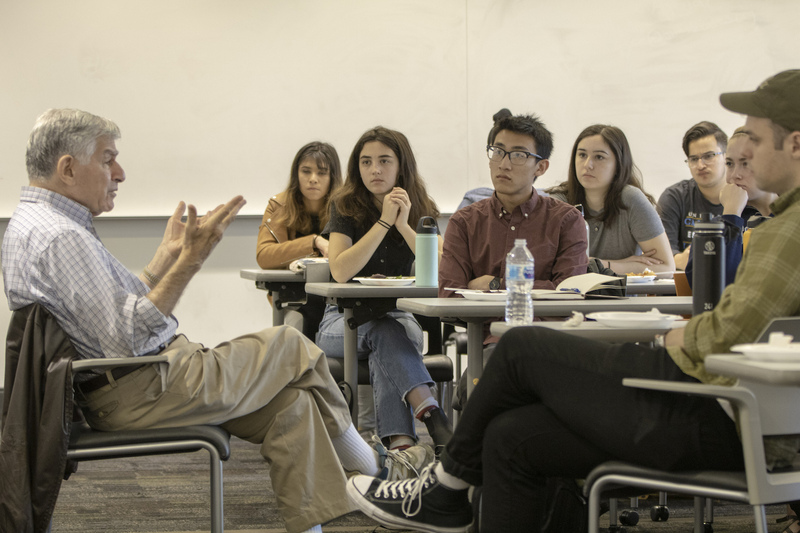 In January, Dukakis led a Learn-at-Lunch discussion with UCLA undergrad students on the 2020 campaign. He noted that, since the 2016 election, young people’s interest in politics has increased dramatically and current events have only fired them up. “They are streaming into my office asking about public service,” he said. That sentiment was heard at the lunchtime conversation with Nemerovski, who offered a number of career lessons and insider tips. 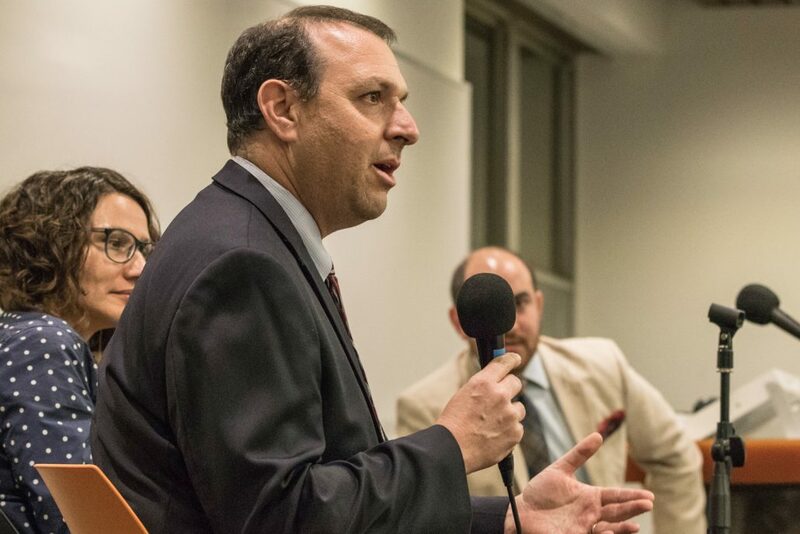 Nemerovski, who has served as an attorney in government service, a campaign manager and lobbyist, and now president of a consulting firm specializing in advocacy at the state and federal levels, explained that his own career path did not start in a straightforward way or as early as he recommends to students. He highlighted the importance of “picking a team” and “finding a cause” — of connecting passion with expertise. Admittedly, he said, he did not have a particular calling from the start in his home state of Illinois, but by becoming involved in lobbying, he developed a true career-long passion for health care issues. He cautioned that becoming an expert can only get a person so far and stressed the importance of establishing relationships. 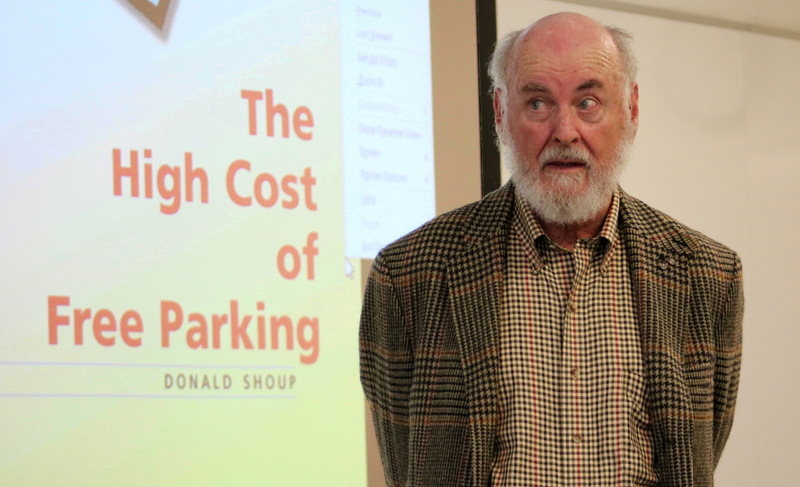 He said he still has important connections from more than four decades of work in his various roles, and he has invited many in his network to speak to his classes. This quarter, Nemerovski’s students had the opportunity to hear from several current and former legislators from Illinois and California. View photos from the roundtable on Flickr. As the presidency of Donald Trump enters its third month, former Massachusetts governor and Democratic candidate for president Michael Dukakis says he’s seen this before. 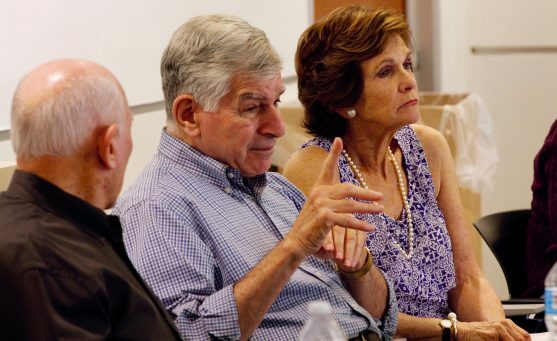 At an annual luncheon held in his honor, Dukakis shared his thoughts on the current state of American politics at a roundtable discussion with Luskin faculty and staff. Dukakis began his discussion of the Trump Administration by drawing a parallel between Trump and Edward J. King, Dukakis’s challenger in the 1978 gubernatorial primary in Massachusetts. Dukakis teaches courses each winter quarter at the UCLA Luskin School of Public Affairs — a post he’s kept for 21 years. This year, he taught a graduate level course on Institutional Leadership and Public Management. Public Policy Department Chair Mark A. Peterson introduced Dukakis at the farewell luncheon on March 16, 2017, noting that this year’s installment of the luncheon had an added element of a full roundtable discussion. “We always have our regular conversation where Mike offers various insight. This time I gave him homework,” said Peterson, who asked Dukakis to frame his conversation around the initial impact on American politics of the Trump administration. Dukakis discussed his take on a variety of policy issues the Trump administration will likely tackle, and expressed his concern over the president’s ability to handle foreign policy issues. Dukakis, a Democrat, also shared his thoughts regarding the state of the Democratic Party, which controls neither the presidency nor Congress. When asked about his thoughts on President Trump’s ability to govern, given the current structure and membership of the White House staff, Dukakis referred to a quote from longtime friend Gordon Chase, former administrator of New York City’s Health Services Administration. Among the most concerning for Dukakis is the president’s chief strategist, Steve Bannon, whose rhetoric on immigration comes off as hypocritical, Dukakis said. Dukakis went on to note that the “competent” parts of the administration were coming from the “more conventional” politicos and Washington insiders on the president’s team, including military leadership. 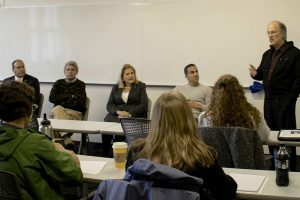 With second-year Luskin students searching for career opportunities and first-year students looking to lock in summer placements, the UCLA Luskin School of Public Affairs presented an alumni panel to give timely advice about what types of jobs might be out there in the public service sector. At an evening panel discussion hosted by Luskin School Career Services on March 9, 2017, alumni of all three UCLA Luskin master’s programs spoke about working professionally with local governments and how their degrees opened those careers as possibilities. Former Massachusetts Gov. 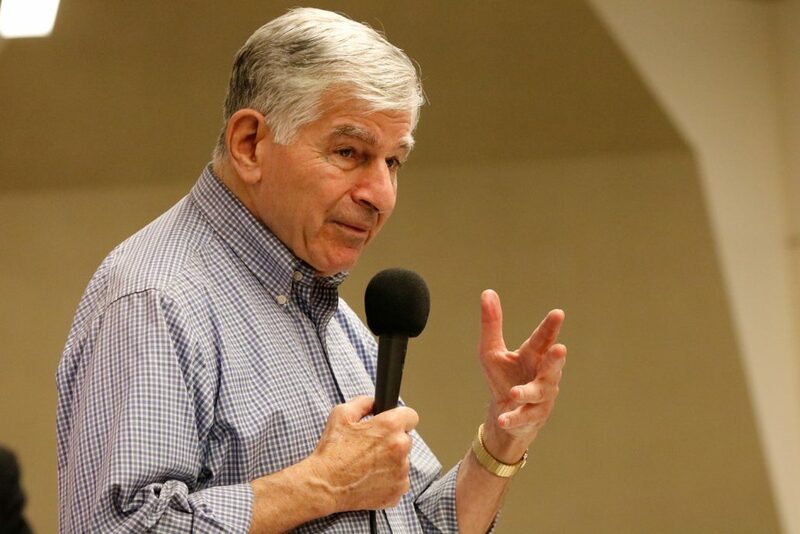 Michael Dukakis, who has taught as a visiting professor at the Luskin School each winter for more than 20 years, spoke about the opportunities for Luskin students to engage in public service, and he challenged the audience — mostly current Luskin students — to make strides in addressing the world’s issues. 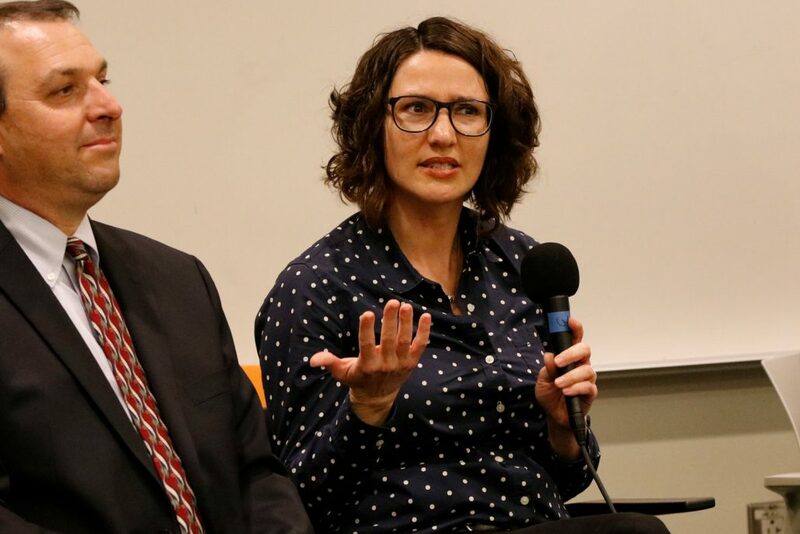 Five UCLA Luskin alumni spoke on the panel, which was moderated by Emily C. Williams MPP ’98, a member of Luskin’s first-ever graduating Master of Public Policy class. 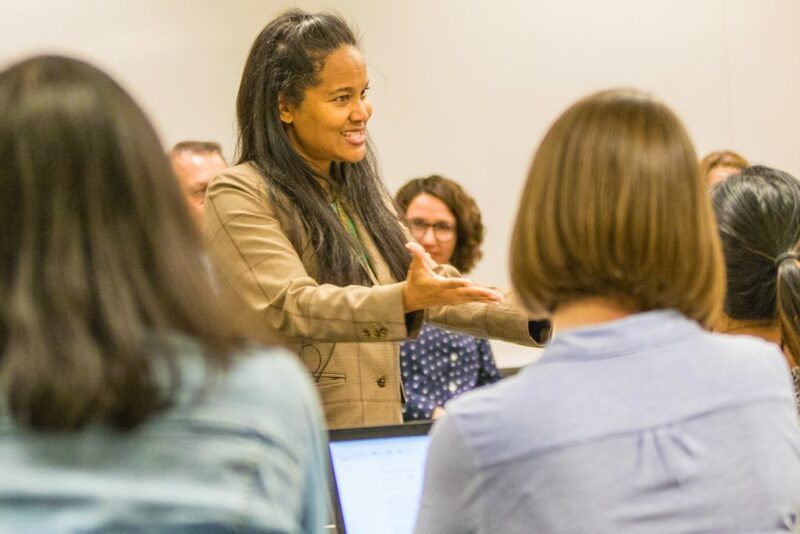 Williams noted that the panel’s academic diversity demonstrated the value in having cross-educational opportunities for current students, and she encouraged the audience to enroll in courses in other disciplines. Paul Weinberg MPP ’98 is now emergency services administrator in the Office of Emergency Management for the City of Santa Monica. Weinberg spoke about how his schooling — Dukakis’ course in particular — gave him important insight into professionalism. Nahatahna Cabanes MSW ’13 is director of the Retired and Senior Volunteer Program at L.A. Works. As a former Bohnett Fellow, Cabanes had the opportunity to work in the administration of former L.A. Mayor Antonio Villaraigosa while a student at Luskin. She said her current job is different from her role in the mayor’s office, but both jobs speak to her interests. 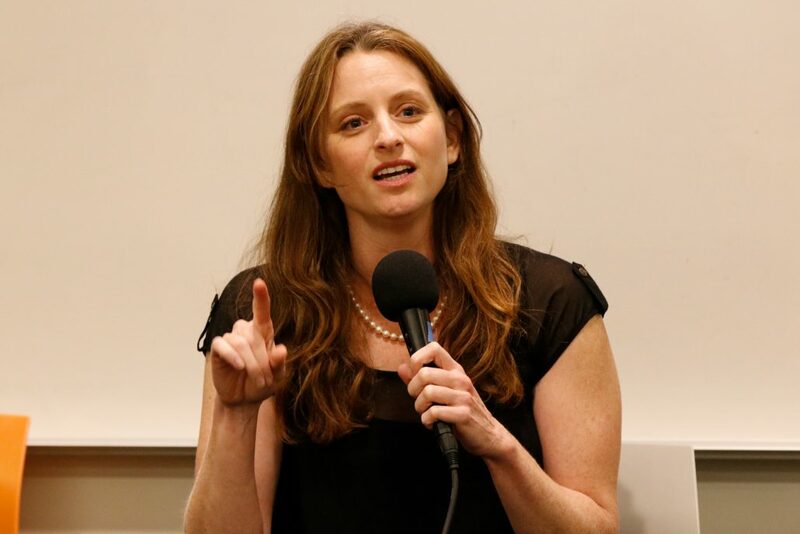 Molly Rysman MA UP ’05 is now the housing and homelessness deputy for Los Angeles County Supervisor Sheila Kuehl. Rysman discussed her experience bringing a priority issue to the mainstream of local politics. Also serving on the panel were Daniel Rodman MURP ’14, now transportation manager in Mayor Eric Garcetti’s office, and Everado Alvizo MSW ’08, a former Bohnett Fellow who now works as a project coordinator and registered associate clinical social worker for Special Service for Groups. VC Powe, director of career services and leadership development at Luskin, said that giving opportunities for current students to engage with alumni is critical in providing a realistic idea of what life after UCLA will be like. Former Massachusetts Governor Michael Dukakis, the 1988 Democratic nominee for president and visiting professor of public policy at the UCLA Luskin School of Public Affairs, weighs in on this year’s race, on the apparent polarization of the country, and offers advice to students interested in politics and public service. Watch this video to see if Gov. Dukakis offers any predictions on the Republican and Democratic nominees. 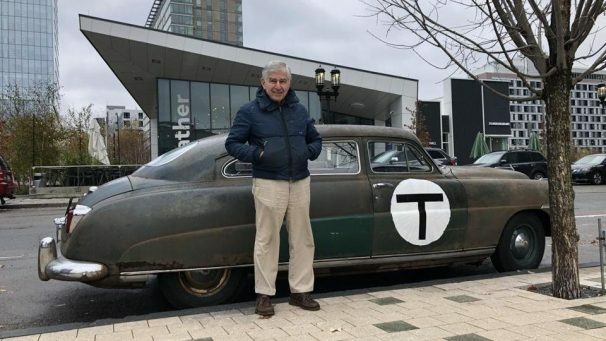 Michael Stanley Dukakis was born in Brookline, Massachusetts on November 3, 1933. 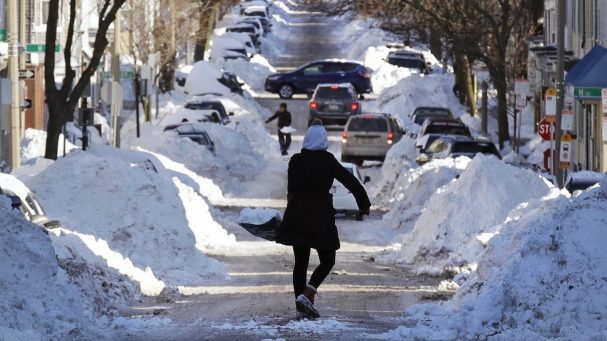 His parents, Panos and Euterpe (Boukis) Dukakis both emigrated from Greece to the mill cities of Lowell and Haverhill, Massachusetts before marrying and settling down in the town of Brookline, just outside Boston. Dukakis graduated from Brookline High School (1951), Swarthmore College (1955), and Harvard Law School (1960). He served for two years in the United States Army, sixteen months of which he spent with the support group to the United Nations delegation to the Military Armistice Commission in Munsan, Korea. Dukakis began his political career as an elected Town Meeting Member in the town of Brookline. He was elected chairman of his town’s Democratic organization in 1960 and won a seat in the Massachusetts Legislature in 1962. He served four terms as a legislator, winning reelection by an increasing margin each time he ran. In 1970 he was the Massachusetts Democratic Party’s nominee for Lieutenant Governor and the running mate of Boston mayor Kevin White in the year’s gubernatorial race which they lost to Republicans Frank Sargent and Donald Dwight. Dukakis won his party’s nomination for Governor in 1974 and beat Sargent decisively in November of that year. He inherited a record deficit and record high unemployment and is generally credited with digging Massachusetts out of one of its worst financial and economic crises in history. But the effort took its toll, and Dukakis was defeated in the Democratic primary in 1978 by Edward King. Dukakis came back to defeat King in 1982 and was reelected to an unprecedented third, four-year term in 1986 by one of the largest margins in history. In 1986, his colleagues in the National Governors’ Association voted him the most effective governor in the nation. Dukakis won the Democratic nomination for the presidency of the United States in 1988 but was defeated by George Bush. Soon thereafter, he announced that he would not be a candidate for reelection as governor. After leaving office in January 1991, Dukakis and his wife, Kitty, spent three months at the University of Hawaii where Dukakis was a visiting professor in the Department of Political Science and the School of Public Health. While at the University of Hawaii, he taught courses in political leadership and health policy and led a series of public forums on the reform of the nation’s health care system. There has been increasing public interest in Hawaii’s first-in-the-nation universal health insurance system and the lessons that can be learned from it as the nation debates the future of health care in America. Since June 1991, Dukakis has been a Distinguished Professor of Political Science at Northeastern University and visiting professor at the School of Public Affairs at UCLA. 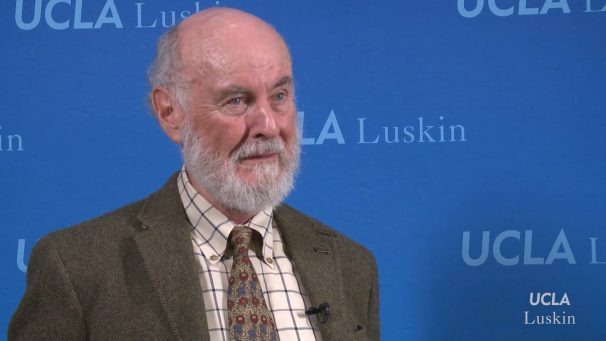 His research has focused on national health care policy reform and the lessons that national policy makers can learn from state reform efforts. He and the late former U.S. 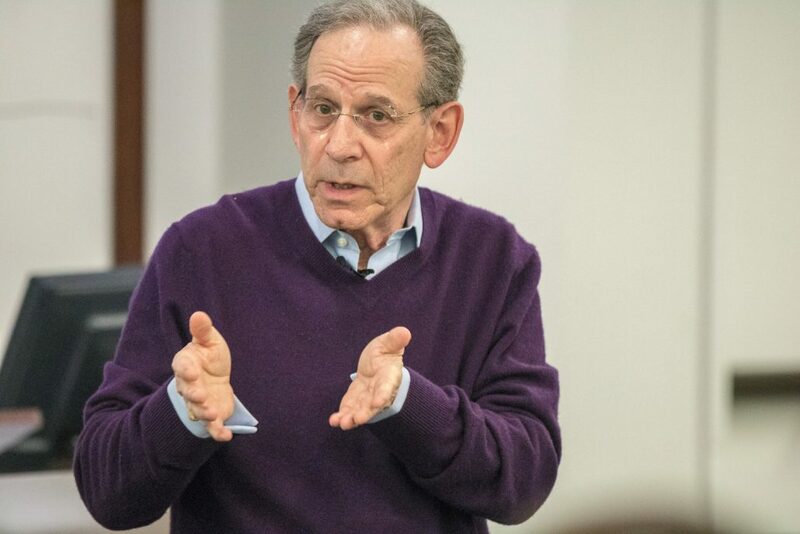 Senator Paul Simon authored the book titled “How to Get Into Politics – and Why,” which is designed to encourage young people to think seriously about politics and public service as a career. Dukakis was nominated by President Clinton for a five-year term as a member of the new Board of Directors of Amtrak, The National Railroad Passenger Corporation on May 21, 1998 and served as Vice-Chairman on the Amtrak Board. Mike and Kitty Dukakis have three children: John, Andrea and Kara, and are the proud grandparents of Alexandra Jane Dukakis, Harry Nicholas Hereford, Josephine Katharine Hereford, Olivia Dukakis Onek, Peter Antonio Dukakis, Nora Dukakis Onek, and Sofia Elena Dukakis.